So, do Wall Street and Russian analysts know something that we don’t know? Is this why George W. Bush initiated USNORTHCOM to begin with? Is this why Barack Obama is beefing up USNORTHCOM? This would help explain the reports of all those potential detention camps that have been constructed (including the abandoned military installations that have refurbished security fences, guard towers, etc., around them). Has the American people’s disgust with these crooks and thieves within the federal government and Wall Street reached a boiling point? There is no question that people are angry, and for good reason. The fraudulent financial policies of the Federal Reserve and its lackeys in the White House and Congress have literally bankrupted the country. Real unemployment is most likely over 20%. Taxes (along with costly fees, regulations, restrictions, penalties, mandates, etc.) at every level are going through the ceiling. America’s jobs have been outsourced. Barack Obama continues G.W. Bush’s irresponsibility, digging America deeper and deeper into foreign entanglements, at the cost of trillions of dollars and thousands of lives. The IRS continues to harass and harangue honest citizens, squeezing them like the proverbial turnip. And now, add the insanity of a global climate treaty being hammered out in Copenhagen, and a universal health care bill being rammed through Congress, and the outlook is even gloomier. I feel very comfortable in saying that the usurpations of power, the encroachments upon liberty, and the arrogant tax-and-spend policies emanating from Washington, D.C., and Wall Street these days are far more egregious than what George Washington and the boys were enduring in 1775-76 at the hands of the British Crown. There is no doubt in my mind that if Thomas Jefferson, Patrick Henry, and Sam Adams were alive today, they would have given cause for the Goldman Sachs banksters to retreat to their bunkers years ago! The fact is, we do need a revolution! But not a revolution of anarchy and pitchforks. (The history of France should be ample evidence of the futility of this strategy.) We need a revolution of the individual states: to reclaim their sovereignty and fight for the liberties of their sovereigns (We the People). That is exactly what our forefathers did in ‘76. America’s founding document (the Declaration of Independence) declares that our states are “free and independent.” And so they are. We are not “one nation” with one all-powerful central government. We are a confederation of nation-states, united in a voluntary union, with each State reserving to itself the power and authority of self-determination, and ceding to the federal government limited, specifically delineated duties and limitations–limitations that have been totally ignored to the point that, for all intents and purposes, our once-great constitutional republic has been thoroughly expunged. 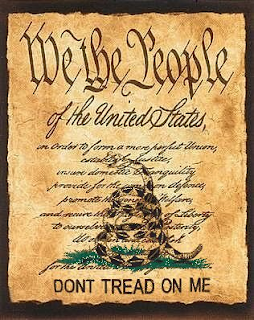 Therefore, it is NOW time for the states to stand up to this meddlesome, every-growing tyranny that is known as Washington, D.C., and defend the rights and liberties of their citizens! As Vieira says, the states should resurrect their militias. Many–if not all–states have the legal authority for such entities in their constitutions. In some states they are called the State Guard. Some plainly use the word “militia.” Whatever they are called, they need to be activated. And all that is necessary for this to be accomplished is the order of the governor. It’s that simple! And as Vieira said, states need to adopt an alternative currency–including, and most especially, gold and silver. In other words, they need to develop their own private economies, complete with their own banks and exchange mediums. They also need to reject the multinational agribusiness and develop their own in-State agricultural and energy businesses. I would dare say that the first State that determines to follow Vieira’s sagacious counsel (and rumblings of this have already begun in states such as Alaska, Oklahoma, Texas, Montana, New Hampshire, Indiana, Tennessee, South Carolina, etc.) would have so many liberty-loving patriots flock there that its economy would explode with prosperity–resulting in a domino effect of many other states following suit–and the revolution that this country so desperately needs would indeed take place. Furthermore, such a revolution would be constitutional, lawful, moral, and, yes, in compliance with the laws of Nature and of Nature’s God. In the meantime, is Barack Obama really worried about civil war? He might be. It is my observation that Washington politicians and bureaucrats are the most paranoid people on the planet. The problem is–as with most power-hungry Machiavellians–their paranoia often translates into more opression and less liberty for the citizenry. And if this is true, it simply means that the states need to hurry up and do what needs to be done! This proposal is a thoughtful process that could bring us a sensible answer to our current delema, i.e. how does one unscramble the egg and put the pieces back together without thrusting the United States into civil war and anarchy. There is a real danger and we must be cognizant of the possible response since we know the current power structure will not walk away without a fight. The fight must be a fight for the minds of men and women, for their consciousness and not a fight in the streets. It must be waged within the constrants of the United States Constituion acting on the Sovereign State level and adhearing to the letter of the law. We must use the United States Constitution and the Rule of Law to effect this change and then move forward in a deliberate fashion so the good people of the United States and the World understand the process for reclaiming our Republic and the Freedoms associated with our system. "The powers not delegated to the United States by the Constitution, norprohibited by it to the States, are reserved to the States respectively,or to the people." ''The Tenth Amendment was intended to confirm the understanding of the people at the time the Constitution was adopted, that powers not granted to the United States were reserved to the States or to the people. It added nothing to the instrument as originally ratified.'' 1 ''The amendment states but a truism that all is retained which has not been surrendered. There is nothing in the history of its adoption to suggest that it was more than declaratory of the relationship between the national and state governments as it had been established by the Constitution before the amendment or that its purpose was other than to allay fears that the new national government might seek to exercise powers not granted, and that the states might not be able to exercise fully their reserved powers.'' 2 That this provision was not conceived to be a yardstick for measuring the powers granted to the Federal Government or reserved to the States was firmly settled by the refusal of both Houses of Congress to insert the word ''expressly'' before the word ''delegated,'' 3 and was confirmed by Madison's remarks in the course of the debate which took place while the proposed amendment was pending concerning Hamilton's plan to establish a national bank. ''Interference with the power of the States was no constitutional criterion of the power of Congress. If the power was not given, Congress could not exercise it; if given, they might exercise it, although it should interfere with the laws, or even the Constitutions of the States.'' 4 Nevertheless, for approximately a century, from the death of Marshall until 1937, the Tenth Amendment was frequently invoked to curtail powers expressly granted to Congress, notably the powers to regulate commerce, to enforce the Fourteenth Amendment, and to lay and collect taxes." So now we cross the Rubicon into uncharted water. The important aspect to keep in mind, as we navigate our Nation back to health and wholeness, is the process towards which we now endeavour. It is our Civic Duty to move with the utmost caution and realize that our mission is set forth within and through our founding documents. We must assert our collective will and clip the wings of our Federal Government restoring our Sovereign State Rights and changing the direction of our Nation. I propose we submit a resolution that clearly states; the Perpetual War Agenda be abolished and we direct our resources to rebuilding our Union of Sovereign States. I propose we abolish the Federal Reserve and that the Union of Sovereign States issues New Dollars, backed by Gold and the assets of our respective Union. I propose we investigate, and determine the truth behind  the Assassination of President Kennedy,  Illegal Drug Business by our Intelligence Services,  who orchestrated and perpetrated the 911 False Flag Operation against America and the good people of the world,  who is currently in control of the Alien/Government Agenda and to obtain Full Disclosure. Further I propose that all Free Energy Technology be released and funding be made available for widespread use across the planet. Each State can direct their resources towards a free and open society so as to ignite a Renaissance and a new Beginning for unleashing our Full Potential as Sovereign Hue-Man Beings [ Light Spectrum Beings ]. I propose further; the we lead through example and restore our Nation as a "True City on the Hill". Not a False Construct but rather a Model so others may be inspired. We need to move our focus from being a Victim to a Conscious Creator Enterprise. Either we are stuck on what they are doing, feeling powerless to change or we are emboldened and direct our energy towards a Solution Based outcome. When we formulate our energetic abilities we can accomplish anything we Emotionalize and Intend. I have no doubt that our time has come to tear down this wall and assert our true intention. Six point five,[ 6.5 ] hueman beings want Freedom, Free Energy, a Relationship with our Galactic Family, a Renaissance of Ideas, of Art, of Expression and of Hueman Dignity. We, collectively must act now.